Bidvest Wits, SuperSport United and Platinum Stars are all through to the next round following their victories over the weekend, with champions Mamelodi Sundowns – fresh off their Super Cup win against TP Mazembe – now inserted automatically into the first round qualifying fixtures. With their forthcoming opponents now confirmed, KickOff.com brings you insight into the various clubs the South African teams will face in next month’s CAF match-ups. Reigning champions Mamelodi Sundowns will begin the defence of their title against Ugandan outfit Kampala Capital City Authority FC (KCCA). KCCA faced off against Angolan club Primeiro di Agosto in the preliminary qualifiers, winning the first leg 1-0 yet going down 2-1 in Angola, but progressed 2-2 on aggregate with the away goals rule working in their favour. Current champions of the Ugandan Premier League, KCCA have won their local league on 11 occasions (three in the last four years), with eight Ugandan Cups to boot. In Africa, they have reached the second round of the Champions League just once in 2009, with a first round exit in both 1998 and 2014. KCCA currently sit at the summit of their league standings after 16 games played, with two games in hand over second-placed SC Villa, who are a point behind. An automatic entrant into the first round fixtures, Al Ahly need no introduction, and will post a tough challenge for Bidvest Wits, who narrowly edged Reunion island side Saint-Louisienne 4-3 on aggregate to get through. The Red Devils – 38-time league winners and a record eight-time CAF Champions League winners – were knocked out of last year’s competition in the group stages after finishing third in Group A. 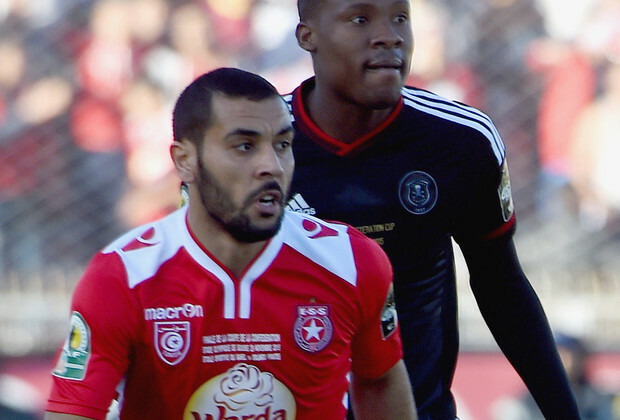 The Egyptian giants last faced South African opposition in October 2015, losing 5-3 on aggregate to Orlando Pirates in the semi-finals of the 2015 CAF Confederation Cup. Al Ahly currently top the Egyptian league standings with 49 points from 19 games, and have yet to taste defeat this season. Finishing third in the league last season, Al Ahly Shendy gained automatic entry in the first round CAF Confederation Cup qualifiers, where they face a Matsatsantsa side who progressed 2-1 on aggregate against Madagascan outfit Elgeco Plus. Shendy have never won a Sudanese league title in their 74-year history, yet have finished third every season for the past five years. The club has six CAF Confederation Cup appearances to their name, having reached the group stages in their debut season in 2012, with second round exits in 2013 and last year, to Ghanaian giants Medeama. After five domestic league games this season, Shendy currently sit 12th in the standings, with just one victory recorded. Like champions Sundowns, Platinum Stars – who overcame Mozambique side UD Songo 2-0 on aggregate – face Ugandan opposition in their next continental fixture, in the form of Vipers SC. Formed in 1969 as Bunamwaya FC, Vipers have won just two domestic titles, their last coming in 2015, with the 2016 Ugandan Cup proudly displayed in their trophy cabinet as well. Having been knocked out in the preliminary rounds in their only previous CAF Confederation Cup appearances last year, Vipers secured a 1-1 away draw at Comoros side Volcan Club to make it into the first round this year on the away goals rule. Vipers currently sit fourth in the Ugandan Premier League standings, yet have two games in hand over third-placed Onduparaka, who are two points ahead. All CAF Champions League and CAF Confederation Cup first round qualifying ties will take place over the weekends of 11/12 and 18/19 March, with exact venues and times yet to be confirmed.